Easter is arguably the most important holiday of the year, especially in the Christian community. It is the day that we celebrate the resurrection of our Savior, Jesus Christ. It is also a day that we are given to celebrate and spend quality time with friends and family. Easter in my family looks like the gathering of all my Tias and Tios, and my uncountable number of cousins at my grandma’s house. We even have a fun tradition where we stuff hollow eggshells with confetti and crack them on top of each other’s heads! Like many other families, we spend our early Easter morning at our church’s sunrise service and then head over to my grandma’s house for brunch. We enjoy traditional Mexican rice and beans coupled with mashed potatoes and glazed ham. 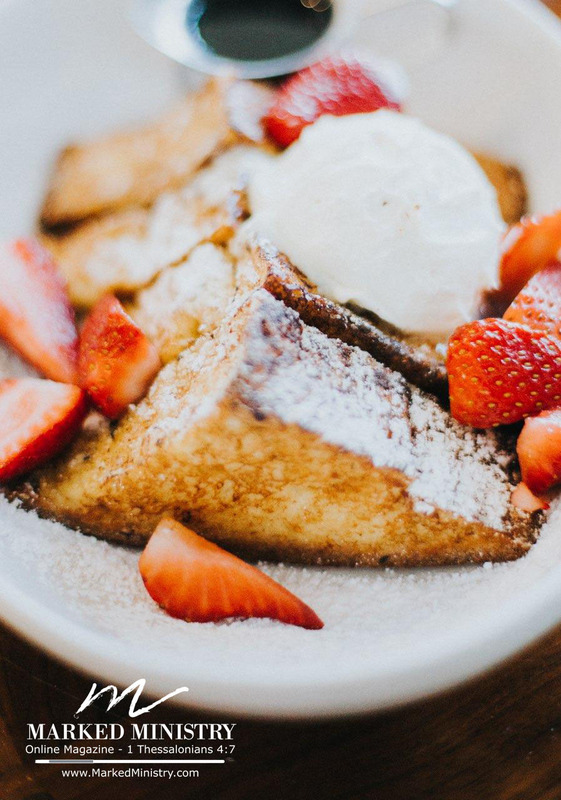 While our brunch may look different than most families, there are traditional Easter dishes that are a must for brunch. Whether you are going to a restaurant or spending time at your grandma’s with family, these are three easy Easter brunch options to look out for to last all month long! French Toast is a personal long time favorite, but of course I like to make it with my own healthy spin. In this recipe below I have included a few special ingredients that make this French toast a bit extra. I first suggest using sourdough bread, as it has been found to not raise blood sugar levels and delays gastric emptying, which extends satiety levels. Using coconut milk instead of heavy cream is also another fun spin, as it adds in more medium chain triglycerides into the diet while still getting that creamy taste 5. Switching and using ghee instead of butter is a must, as ghee also has medium chain triglycerides, and gives off the same buttery taste without the unbeneficial traits of butter 3. Lastly, using raw honey as a topping adds a bit of sweetness with natural probiotics and antioxidants as the cherry on top 2. In a small bowl, take a fork or a whisk and mix the eggs, milk, cream, vanilla, cinnamon and pumpkin spice together well. Heat the 1 tbsp of ghee in a large pan over medium heat. Dip the bread into the egg mixture until it’s thoroughly coated. Place the soaked bread into the pan (leave enough room to flip the bread). Allow the bread to toast until it turns a golden brown. Repeat until all of the bread has been made and/or all of the egg mixture has been used. Top with raw honey and fresh berries. If you decide to hollow out a bunch of eggs to stuff them with confetti, you will end up with a lot of uncooked eggs as my family does every year. A good recipe to use these eggs up is a yummy spinach and cheese quiche! What is even better is making a sweet potato hash brown crust to go with it. I decided to use ghee in this recipe as well 3. In order to give it a bit of a kick, I thought it would be good to add in some jalapeno pepper jack cheese. I encourage using the whole egg, and not just the egg whites, to consume beneficial nutrients such as choline, selenium, vitamin B12and vitamin D 6. It is also wise to use sweet potato hashings instead of Irish potato hashings, because sweet potato has half the amount of carbohydrates, meaning the blood sugar will not raise as high, and is packed with vitamins, specifically vitamin C 1. Pour a bit of extra virgin olive oil into the bottom of a pan and spread around evenly with a napkin. Mix sweet potato hashings, ghee, egg and spices into a bowl. Mix together well and spread out evenly around the pan to form a crust. Place pan in the oven preheated to 400 degrees for about 20 minutes or until the hash browns are golden brown. In a small frying pan, sauté the vegetables using 1 tbsp of extra virgin olive oil until vegetables are cooked. Add the diced spinach and cook until the spinach has welted. In a bowl, combine together the milk, mozzarella cheese, Parmesan cheese, jalapeno cheese, bacon, onions and eggs. Stir the ingredients together well. Pour the egg mixture over the hash brown crust and bake for about 45 minutes. You cannot properly brunch without Mocktail Mimosas. Sparkling Mocktail Mimosas are so light, and are a fun sweet treat to add to any brunch! And what a better way to welcome in the spring than to add flowers in your drinks! Lavender is a fun edible flower to make your mocktail just a bit more special. Lavender is known to have some nutritional benefits, such as helping to reduce anxiety and inflammation 7. Fresh orange juice is also packed with vitamin C, which is an antioxidant that helps fight against free radicals 8. Raw honey is packed full of antioxidants and makes the drink just a bit sweeter using natural sugar 2! Steep dried lavender in ½ cup of boiling water for five minutes. Filter out the dried lavender and separate the steeped water (may leave in longer for a stronger taste). Cool in the refrigerator for one hour. 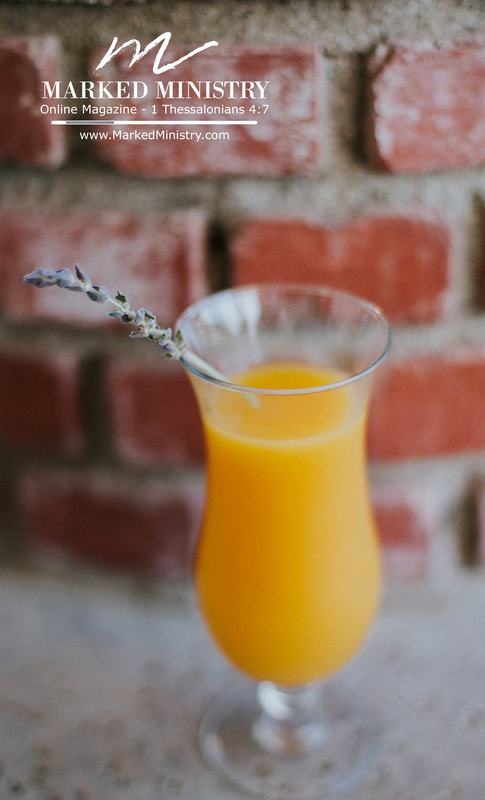 Remove lavender water from the refrigerator and stir in the freshly squeezed orange juice and raw honey. Slowly add in the lemon sparkling water. Decorate with orange slices and lavender. I hope you enjoy making these recipes for your family, as much as I will enjoy making them for mine!